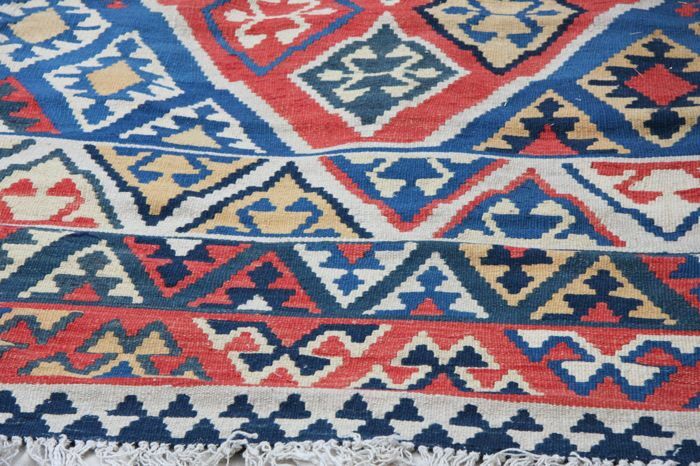 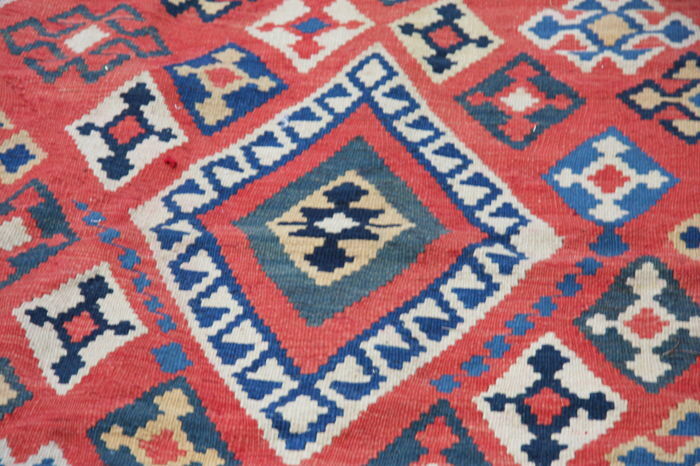 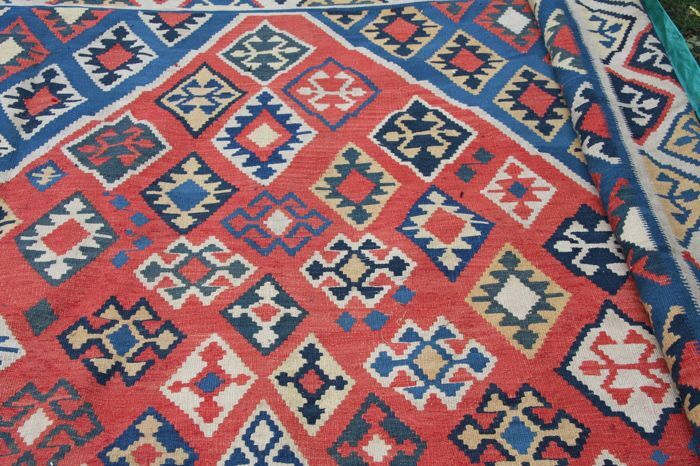 Extra large handmade Persian Qashqai Kilim in multi colour and very good condition. 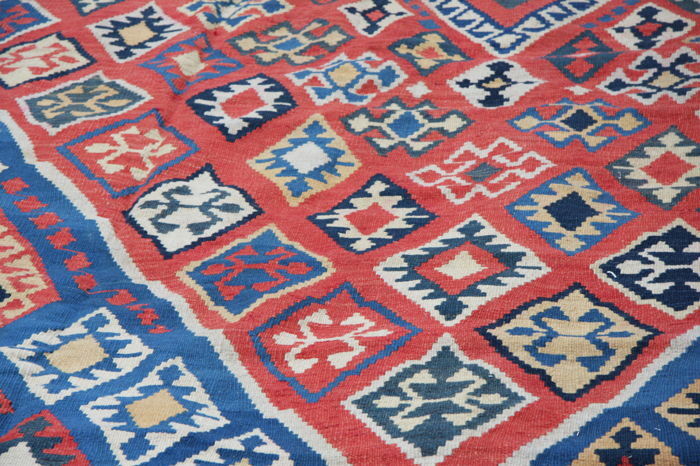 This handsome and rather large Persian flat weave rug belongs to the Qashqai tribes. 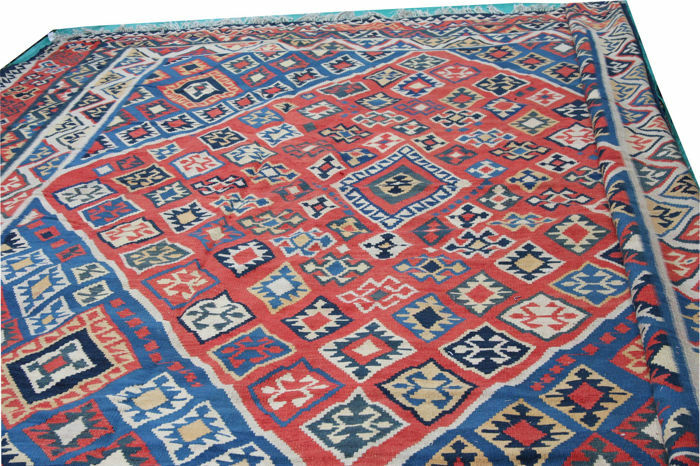 Measuring 485cm x 410cm, and made around the third quarter of the 20th century contains embedded diamond shaped medallions in light blue and white field, which in turn decorated with similarly smaller motifs in multi inner and outer borders. 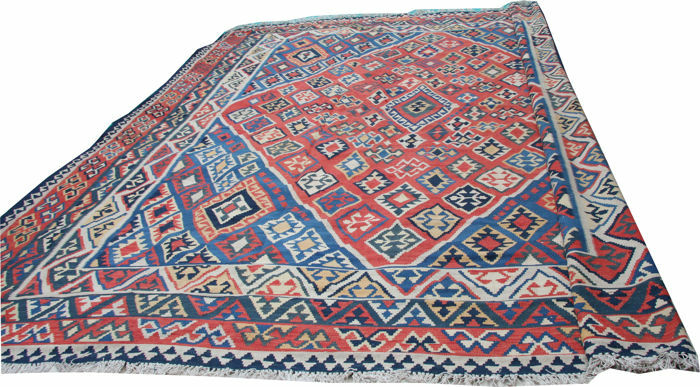 It's amazing condition and rarity in size makes this Klim an ideal furnishing option for large rooms where vibrant colours are needed. 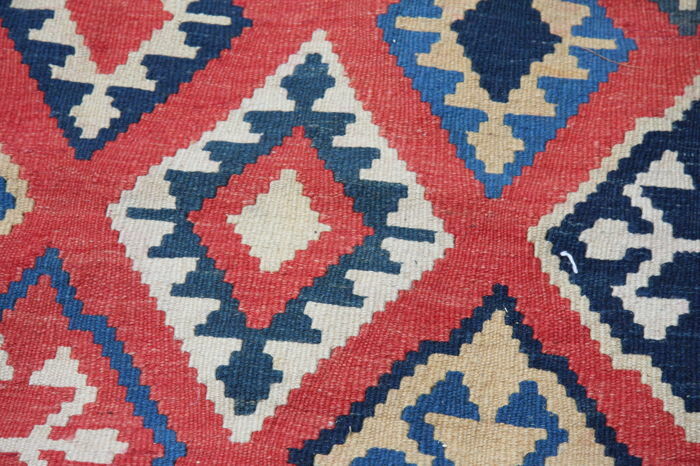 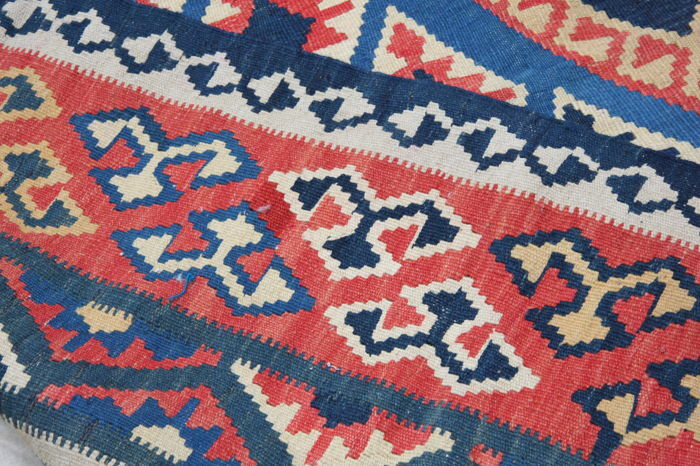 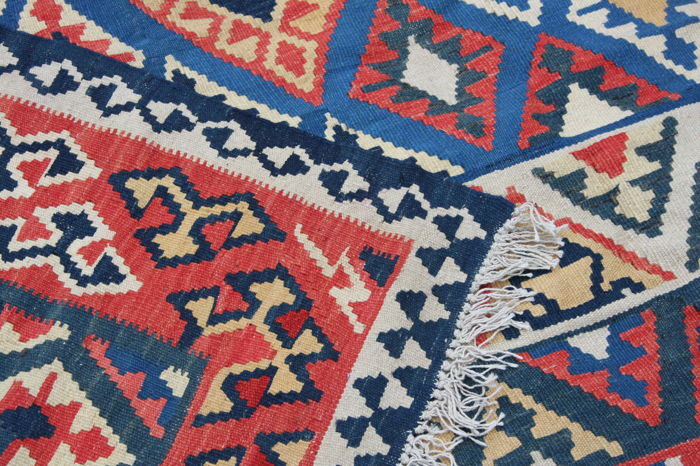 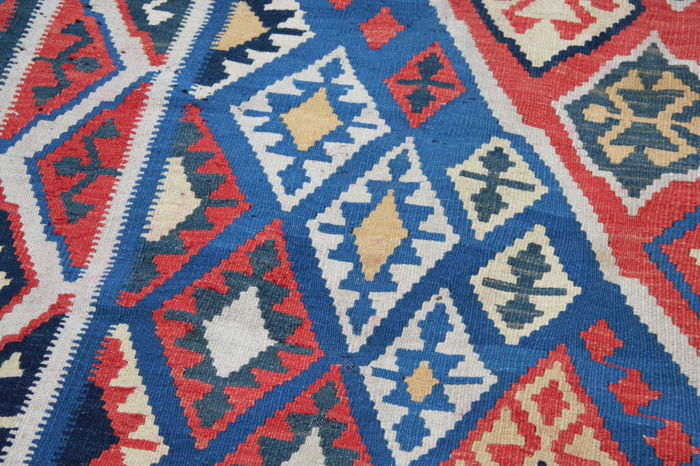 This Kilim was exported from Iran before 2015. 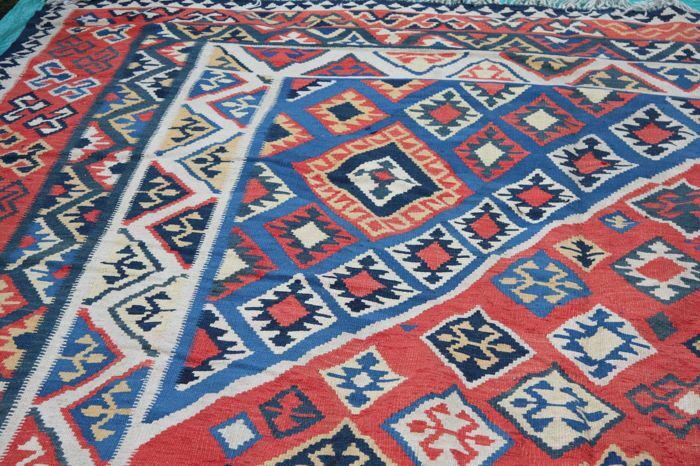 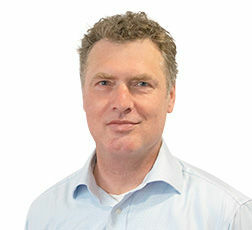 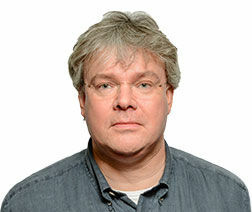 Sie können diesen Artikel auch beim Verkäufer abholen: London (), Vereinigtes Königreich.